Knowing your way around some of the most used software in business is always going to be a positive. You’ll be able to get your tasks done efficiently and also be able to help your colleagues by providing your know-how. Having some of the extra knowledge that even your boss may not know will be an even bigger deal. 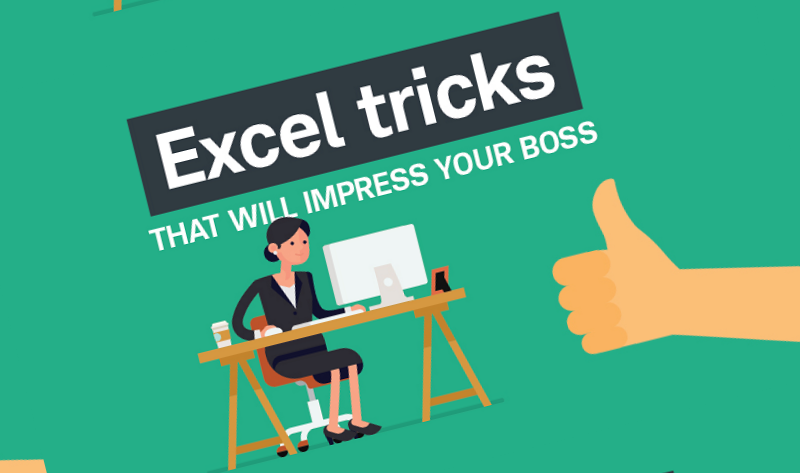 The latest infographic from Microsoft Training has taken to looking at some of the lesser-known tricks in Excel that you can use to impress your boss. Whilst colleagues may know a little bit about how to organise and sort their spreadsheets, not many people will know how to work with Flash Fill – the ability to take data from one column of a table to a whole new table column with a couple of clicks. Instead of having to manually repeat or copy & paste data, the power of Flash Fill will help to auto-fill words previously used in the sheet.Take a look at the infographic below if you want to go ahead and impress your colleagues and boss.